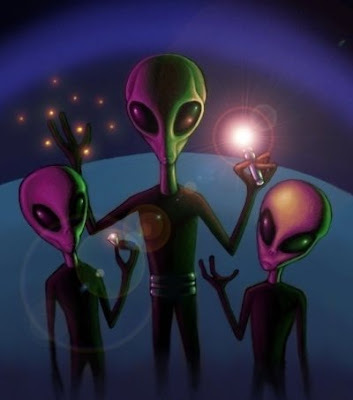 Since the surprising increase in the number of UFO sightings all over the world, there has been a gradual awakening dawning across continents connecting millions of people on a common frequency unknown to the ones who remain wrapped in the maya of the material world. Once you step out of the boxed mindset, a door opens up to an infinite cosmos of possibilities which transcend all dualistic paradigms of our sociopolitical reality. 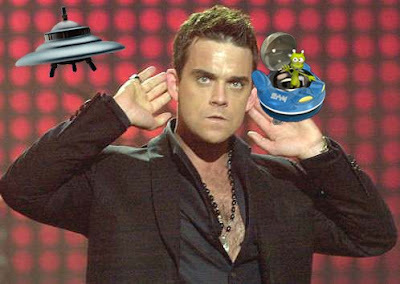 Our good friend Robbie Williams has been contacted by extra terrestrials on more occasions than one giving him all the reason to choose to be a ufologist and dive headlong into the search of our cosmic brothers and sisters originally from outer space possibly inhabiting our earthly inner space, today. 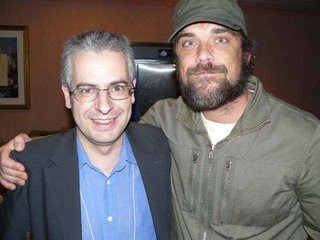 Robbie Williams and ' Above Top Secret ' get together to investigate UFOs at Gilliland Ranch. Robbie said his first UFO sighting was when he was a child in Britain while he spotted his second in Beverly Hills. He said the third sighting was just after he had written a song about alien contact. Williams said : "This big ball of gold light turned up. On my life." Taking the next step forward Robbie has now joined ECETI (Enlightened Contact with Extra Terrestrial Intelligence) furthering his intent to uncover the grassy knolls of a larger reality which might have answers to our own intergalactic origins. At the recent meeting at the ECETI ranch near Trout Lake, WA there were hundreds of orbs captured in the pictures taken that night. As per ECETI, during the visit there were numerous ufo sightings. There were as many as 35 sightings at the ECETI Ranch when according to NASA nothing was flying over Trout Lake, WA. There were also incredible displays of ships powering up, appearing exactly at the time and in the location they previously transmitted through telepathic messages. Even the sound of the ships was captured. Mount Adams has long been the talk of heightened extra terrestrial activity with people having see mysterious lights sparking out of nothing and shooting across, almost dancing in the night sky. The Chariots of the Gods have been visiting earth much before the origin of mankind and we are just about getting to see clearly through the mists of deception which try in vain to cloud the truth about our intergalactic roots and the creator gods from advanced civilizations who journey throughout the cosmos creating new worlds just like ours. Soon we shall realize that we all did in fact come from the stars.